Product Features: Bright barrel and ink colors, Includes gray textured rubber grip. Imprint Location: Cap or Barrel - NOTE - Imprint is put on cap unless otherwise specified. Shipping Weight: 19 lbs. per 200 - FREE Shipping! 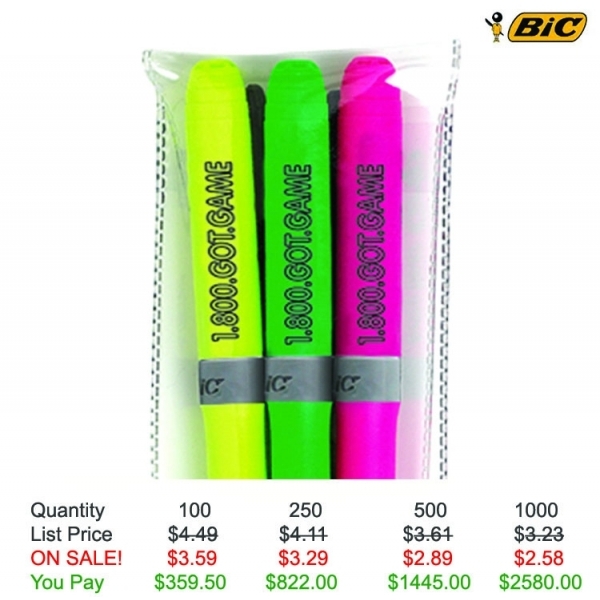 Additional Information: Additional Imprint Color or Imprint text on Barrel - $0.15 ea - For more information call Customer Care 877-706-1866 - Imprint is put on cap unless otherwise specified. 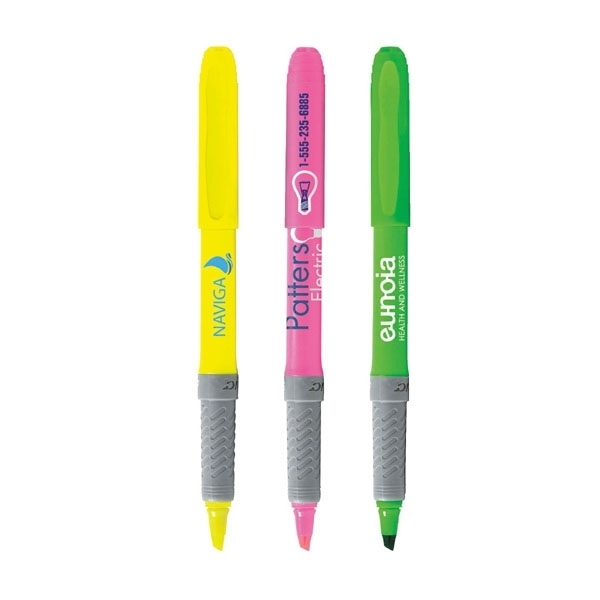 We are very pleased with our highlighters and love our logo on them too! Thanks for your great customer service and positive attitude from beginning to end, you were so nice, and that is so hard to come by these days! We will definitely be ordering again!